When it comes to glass you can have almost anything you want. We can even supply our products unglazed so that you can source your glass elsewhere. The type of project will generally dictate what glass is required, however compliance with Building Regulations and personal preferences such as the level of security, privacy and thermal efficiency will also be considerations when making your decision. Our standard double glazed units are toughened safety glass, Low-E, soft coat, 90% argon gas filled sealed units, with a warm edge spacerbar and a centre pane U-value of 1.2 W/M²K. 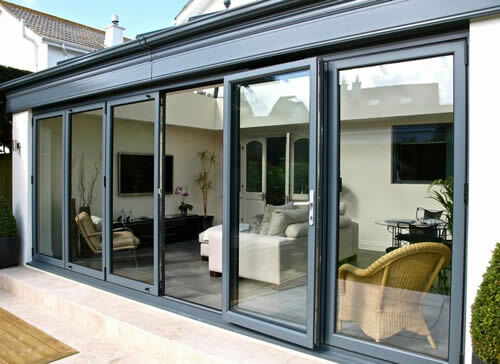 You can choose to have your Bi-folding doors supplied without glass. That way you can source your own glass. Toughened safety glass is high strength and when it breaks it doesn't splinter, it crumbles into small granular chunks. The glass is held in place by a high strength interlayer, which helps keep the layers of glass bonded even when broken. This glass has a clear self cleaning coating that uses UV light to break down dirt, allowing rain water to easily wash the dirt away. This self cleaning solar control glass, has the same self cleaning properties of Pilkingtons Activ™ Clear but also works to block and reflect the suns harmful UV rays. Providing a cooler, safer internal environment. This solar control glass has a U-Value of 1.1 W/M²K for high thermal efficiency, and works to block and reflect the suns harmful UV rays. Keeping you cooler in the summer and warmer in the winter. 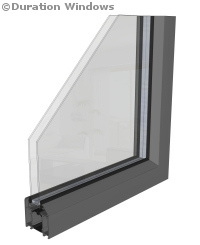 Saint Gobain Planitherm ONE is a clear sealed unit that will provide a huge improvement in thermal efficiency even compared to modern low-E glass. Integrated blinds are actually installed within the sealed units. These blinds are operated using magnetised manual push blocks. Simply slide the push blocks up and down the side border rails to move the blinds. 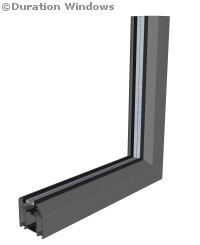 Please Note: Glass is supplied separate of the frames and the doors will need to be glazed on site. By doing so we increase ease of transportation and handling, while making sure your doors arrive in perfect condition. Book an appointment today at our Grand Design Exhibition Centre and receive a 5% Discount Voucher. 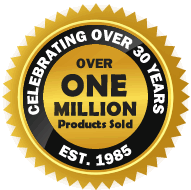 We carry a large database of experienced fitters who we are happy to recommend. Contact us for further details. We reserve the right to change specifications. Terms & Conditions. We continuously wish to improve and we kindly inform you that all incoming and outgoing phone calls may be recorded for quality and training purposes©2019 Duration Windows.